The 15x20x1 3M Filtrete Ultra Allergen Air Conditioner & Furnace Air Filter will help to reduce virtually all of the most common and potentially harmful contaminants from your indoor air for up to three months. Its electrostatically charged fibers act like tiny magnets capturing bacteria, viruses, pet dander, dust and pollen leaving behind only remarkably clean indoor air. A genuine OE product, this air filter will fit into nearly any furnace or air conditioner that uses 1 inch filters of this size. 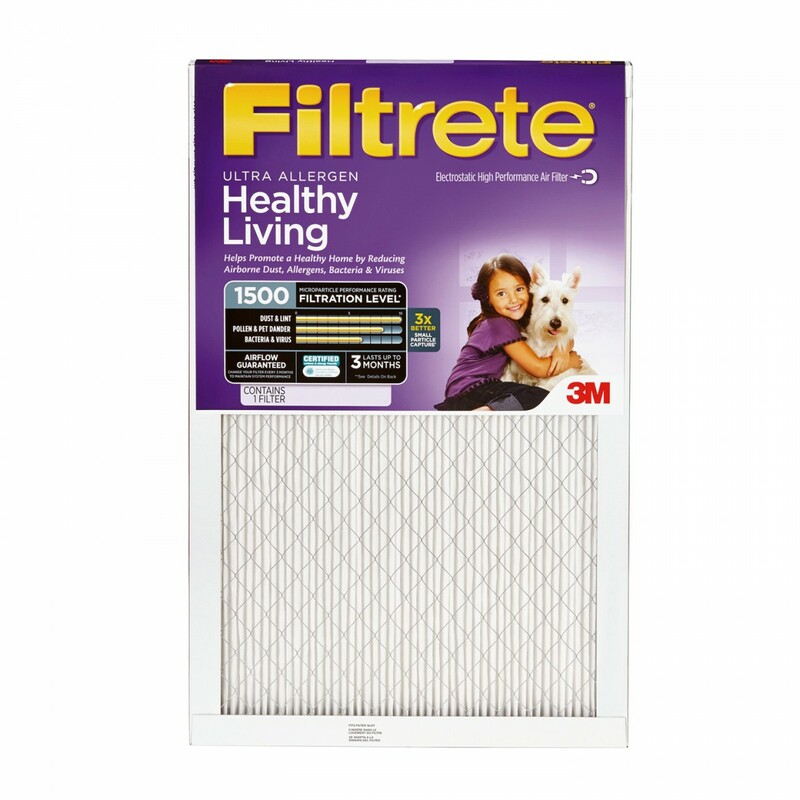 Maintain or improve your indoor air quality by ordering the 3M Filtrete Ultra Allergen Air Conditioner & Furnace Air Filter from us today!